Portland's oldest neighborhood, Old Town/Chinatown, used to be the second-largest Chinatown in the nation after San Franscisco, a major hub for the community until it was displaced by development and other factors in recent decades. The Chinese, in fact, were the earliest non-European immigrant group to land in Portland in 1851, the year the city was incorporated. 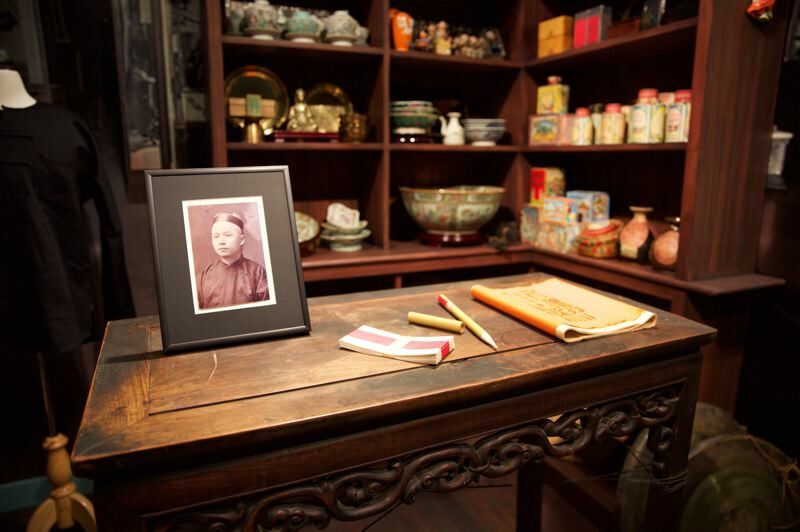 The history of Portland's Chinese immigrants is complex, but historian Jacqueline Peterson-Loomis has been working to tell an accurate story, including in her current role as the curator at the Portland Chinatown Museum. Those who started emigrating here in the 1850s were young families who came to settle as entrepreneurs. They were educated and opened restaurants, shops and other merchant businesses and over time supported the waves of railroad and cannery laborers. They were not subject to those who came after the Chinese Exclusion Act of 1882 — a law Congress passed that restricted the movements of Chinese residents until it was repealed in 1943. Due to anti-Chinese sentiment, the community had been fragmented, and grew more so over time. But if you take a walk through Chinatown today, you'll see signs of old and new everywhere. In 2005, for instance, the Hung Far Low sign on the Chinese-owned chop suey restaurant from 1928 was restored when the restaurant was relocated. The iconic Chinatown lion gate at Northwest Fourth Avenue and West Burnside Street was installed in 1986, marking the entrance to the new Chinatown and a memorial to Oregon's Chinese pioneers. Leaders in the city and community have helped to preserve the buildings, listed on the National Registry of Historic Places. Around the corner from the new museum, there's Chen's Good Taste Restaurant, which serves up classic Cantonese noodles and house-roasted barbecued pork, as well as Red Robe Tea House & Cafe, where you can enjoy Chinese tea, drinking snacks and Cantonese-fusion lunch items. The nonprofit Portland Chinatown History Foundation, which includes a 10-member board of mostly Chinese elders, is led by Peterson-Loomis. Much of the city's Chinese history is still misunderstood, Peterson-Loomis says. That's why the museum is so valuable. "It's about finding ways to modernize while maintaining respect for the tradition," Peterson-Loomis says.